WOOD LAKE — Services for the Rev. Mark Winther, 65, of Wood Lake, are at 11 a.m. Friday at the Wood Lake United Methodist Church. Visitation will be one hour prior to the service at the church in Wood Lake. He died Wednesday, Nov. 28, 2018, at the Avera Heart Hospital in Sioux Falls, South Dakota. Mark Dennis Winther was born July 16, 1953, in Spring Valley, Minn. He was the son of Jens and Alice (Lange) Winther. Mark was raised on the family farm until 1963 when they relocated to Bloomington, where he would meet his future wife in confirmation class. Due to a work transfer, the family settled in Tacoma, Wash., where Mark graduated from Mt. Tahoma High School in 1970. 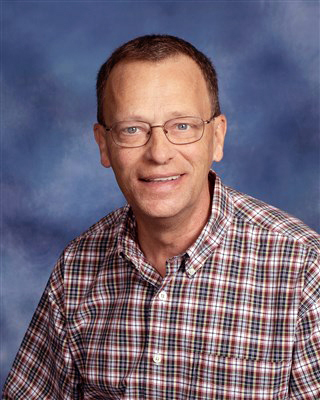 Mark received his bachelor’s degree in education from Washington State University in 1971 followed by a master’s of education from Wayland Baptist University in 1990. On Jan. 26, 1974, Mark married his childhood sweetheart, Orinda Plowman in Bloomington. The couple made their home wherever the Air Force sent them. Mark was active during the Vietnam and Desert Storm wars; serving 23 years with the United States Air Force, retiring as a senior master sergeant. He went on to become a Methodist pastor and continued his life of service. His first call was in Mercedes, Texas, followed by Osceola, Wis., and then several pulpits in Minnesota – including Albright United Methodist Church in Marshall and currently Wood Lake United Methodist Church. Mark was a loving and gentle soul. He was also outgoing, charismatic, witty, and quite the jokester. He enjoyed reading, gardening, canning, baking, counted cross stitch, and spending time in the sun by the water. Most of all, Mark lived for his family and time spent with his children and grandchildren. Mark is survived by his wife of 44 years, Orinda Winther of Wood Lake; children, Joshua Winther (Becky Hansen) of Wood Lake, Elizabeth (Jennifer) Winther of Savage, Holly Winther of Fargo, N.D.; grandchildren, Jacob, Chloe, Gracin, Easton and Morgan; brother, John (Dorothy) Severson of Arnold, Mo. ; sister, Edith (Gene) Johnson of Elbow Lake and nieces and nephews. He was preceded in death by his parents; sisters, Shirley, Helen, Linda and Patricia. In lieu of flowers, please consider a donation to an educational or literacy charity of your choice.